Original sports supplement contains the highest quality micellar casein. The perfect choice for use before bedtime to protect the body from catabolism. Do not let your hard-earned muscles underwent decay at night! 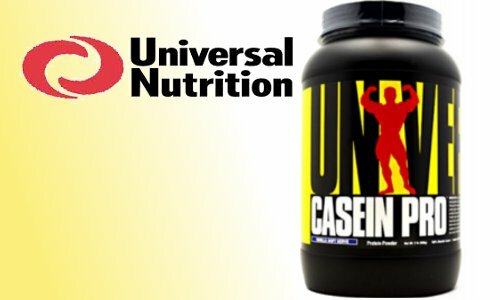 Universal Nutrition Casein Pro was created to protect your body against catabolism night. You can not let that your muscles degraded only because he did not think the appropriate supplement. It should reach for this product not only because it tastes good but because it is a 100% micellar casein. Many competing products based on low-quality calcium caseinate! Only Casein Pro ensures maximum effects during use. 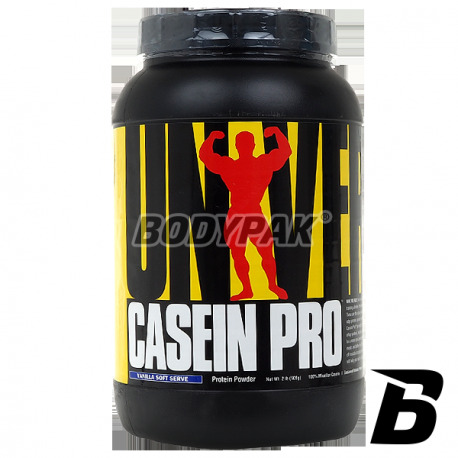 High-protein supplement Universal Casein Pro delivers up to 24 grams of slowly digestible protein in every serving! Unlike most of the whey protein Casein Pro (100% micellar casein), a protein supplement, which provides protein to the body slowly but surely, so that meets the needs of the muscles over a long period of time. Protein from the nutrients released for many hours, which is ideal as a protein for a night or longer intervals between meals. Casein Pro is a supplement that works up to 8 hours after consumption, supplying the muscles with essential amino acids and ingredients that stop catabolism period not to produce a meal. Not without significance is also its positive impact on the development of lean muscular body! 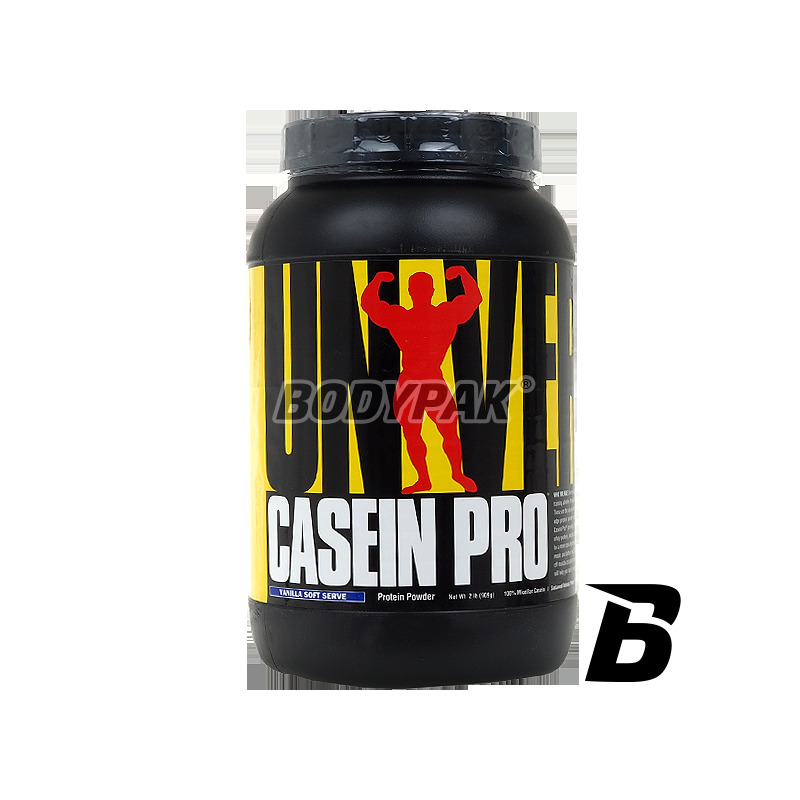 Anabolic protein supplement Casein Pro is a foodstuff supporting regeneration of the body during sleep - dedicated to serious athletes. Casein protein product Pro consists of 100% micellar casein, which is by far the best casein for your muscles! Casein Pro is rich in glutamine, a natural form of casein, which is characterized by long digestion time, thus demonstrating effective anti-catabolic effect for a long time (up to 8 hours). With Casein Pro it can be faster and more efficient regeneration during the night's rest. Original casein Universal Nutrition Casein Pro is the perfect protein for each. Micellar casein can be a dietary supplement active people, it can also be used as a good conditioner for mass or sculpture. Szczególnie przypadł mi do gustu smak czekolady z masłem orzechowym i z czystym sumieniem go polecam! Jako produkt daje mocne 5 za całokształt !